We've been so caught up lately with sharing all these crazy interactive billboards that we almost forgot about about those really elegant, but simple billboards that integrate their surroundings into the creative. 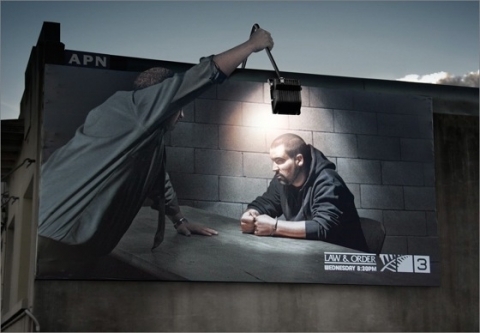 Here's a recent one for Law & Order using a street light. Nicely done.